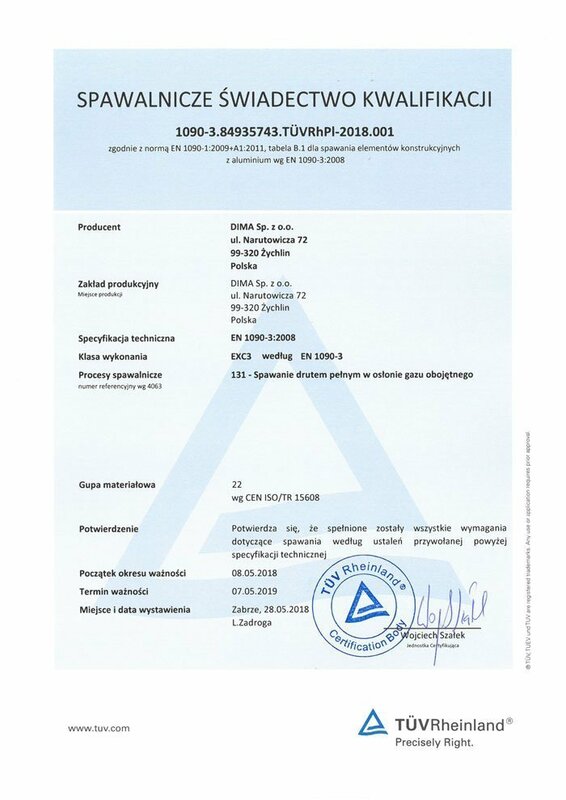 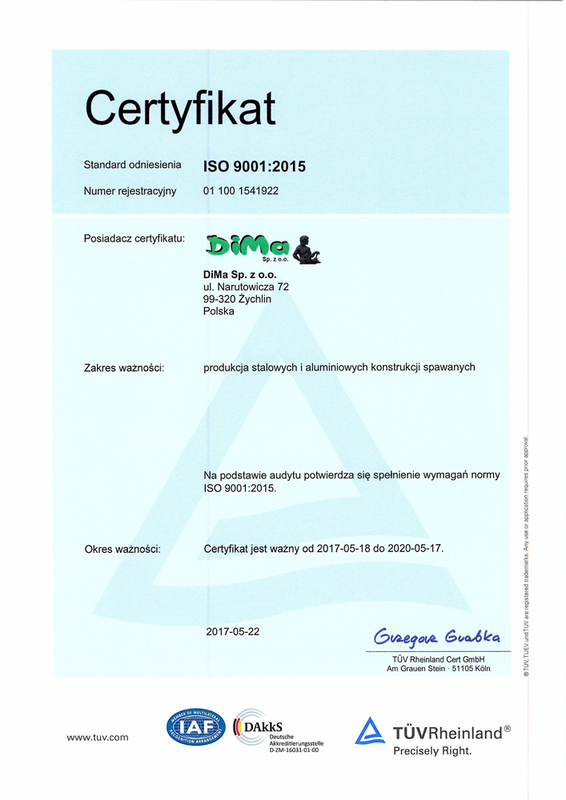 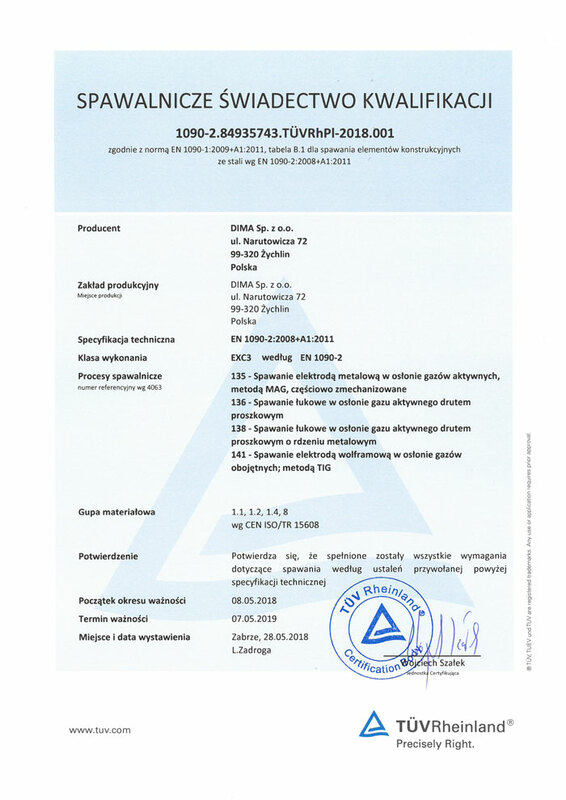 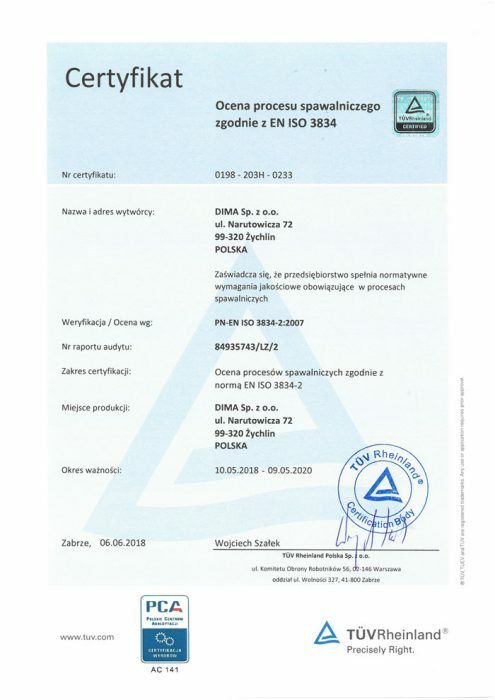 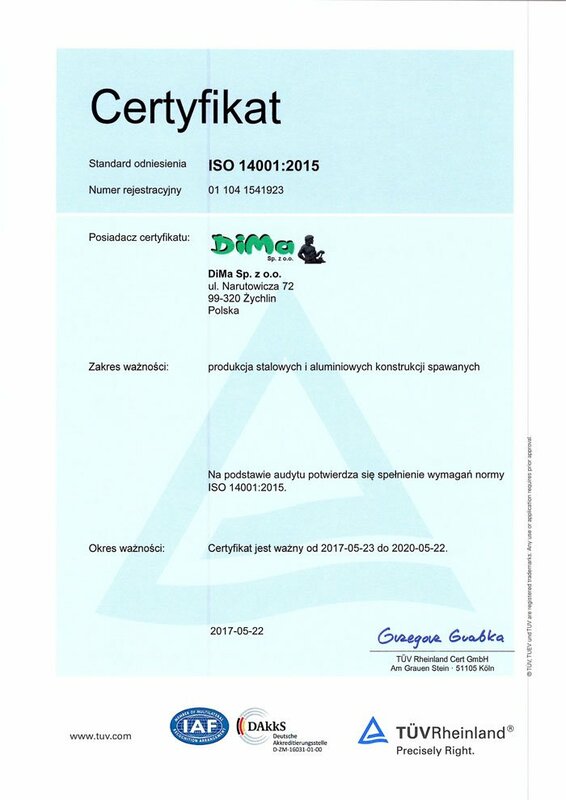 DiMa company has an integrated system of quality, environment and quality management in welding in accordance with PN-EN ISO 9001, PN-EN ISO 14001, PN-EN ISO 3834-2 and PN-EN 1090-1, -2, -3, EXC 3. 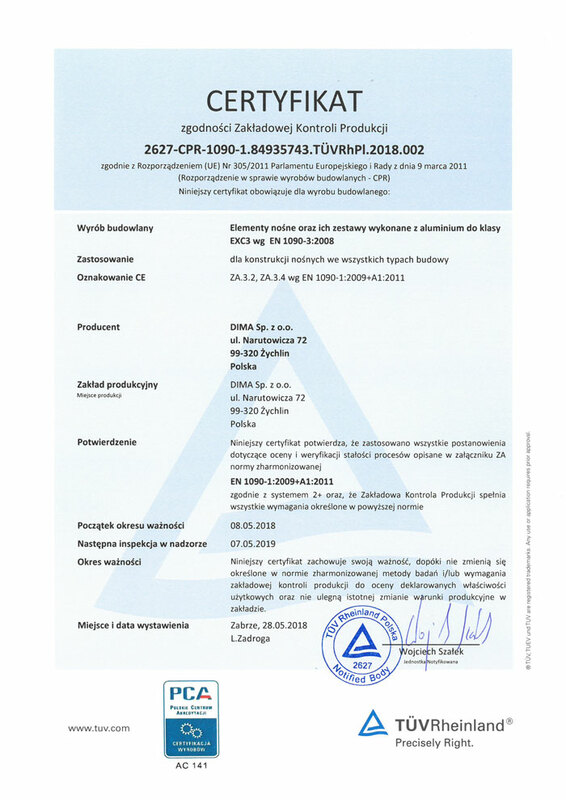 The company has the right to issue the CE mark for welded constructions in building construction. 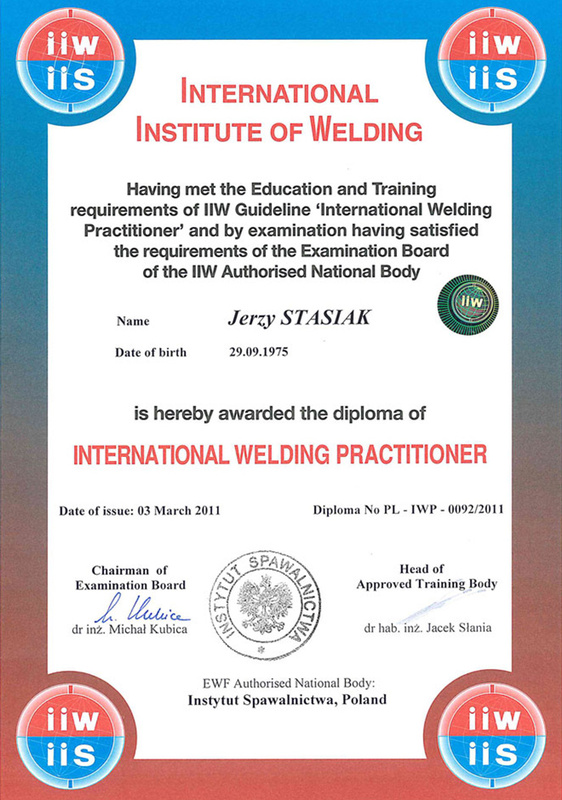 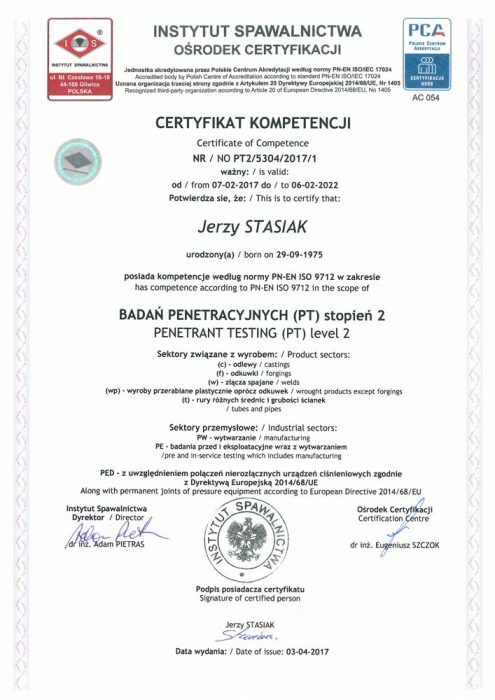 All welders employed in the Company have certificates in accordance with PN-EN ISO 9606-1 (2) and PN-EN ISO 17660-1. 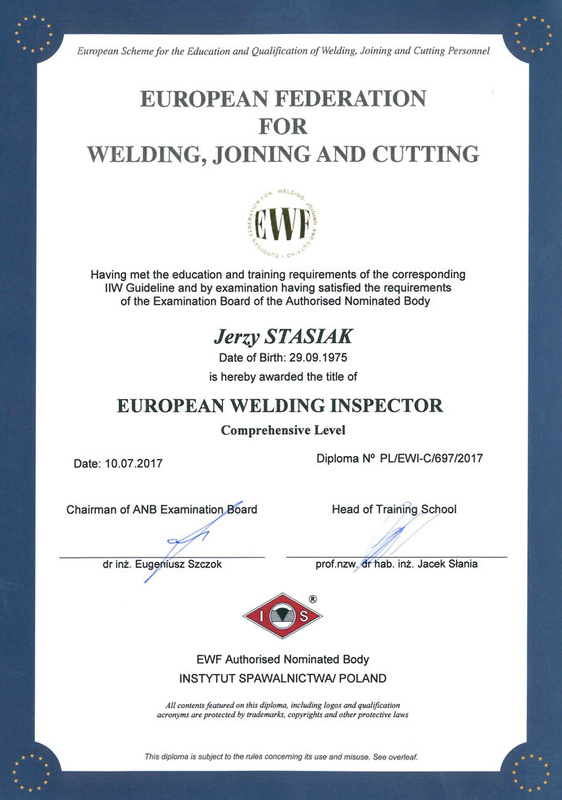 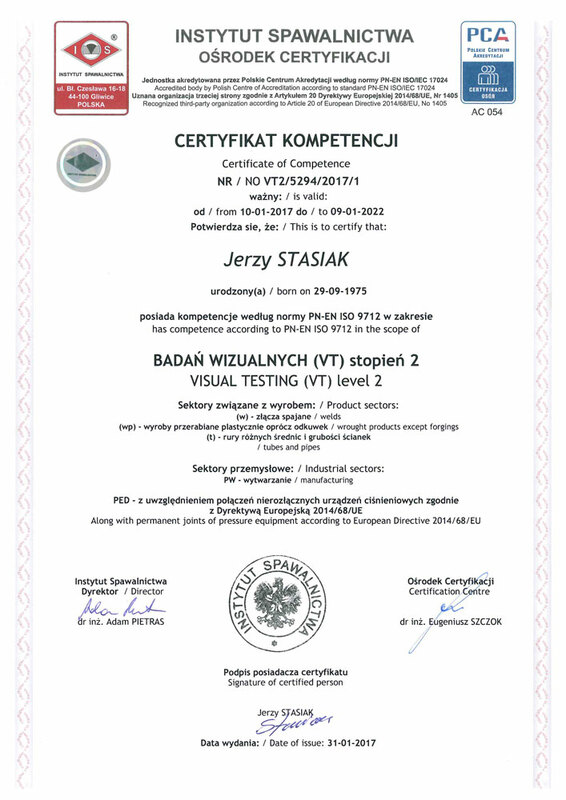 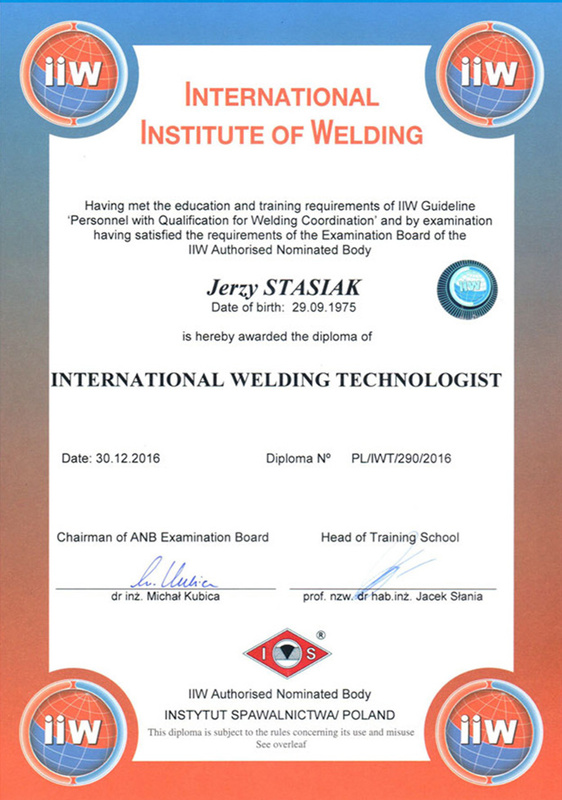 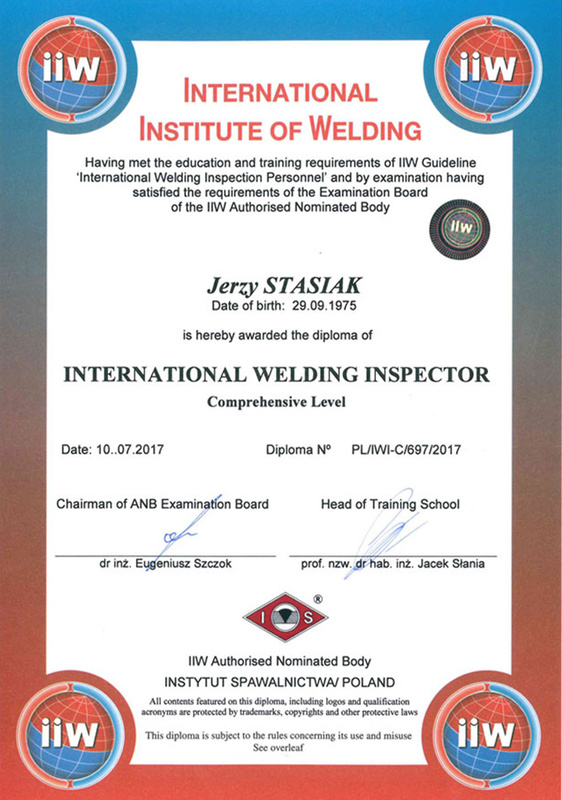 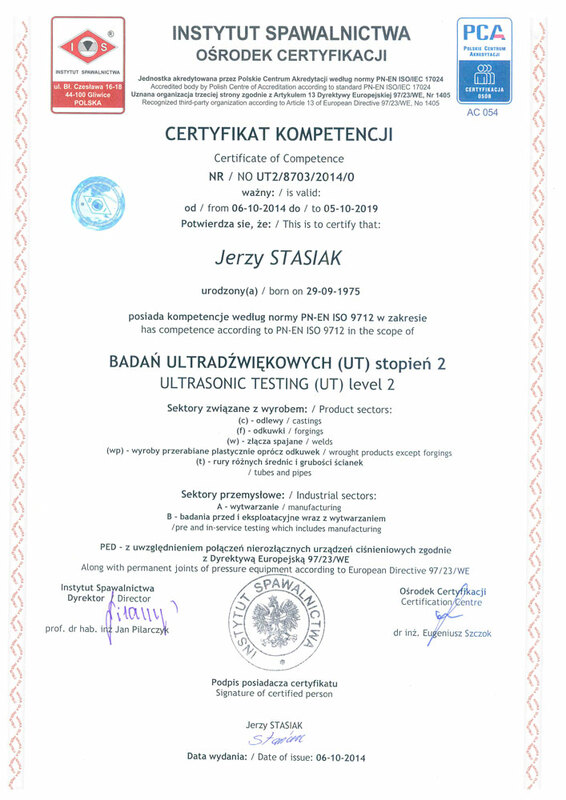 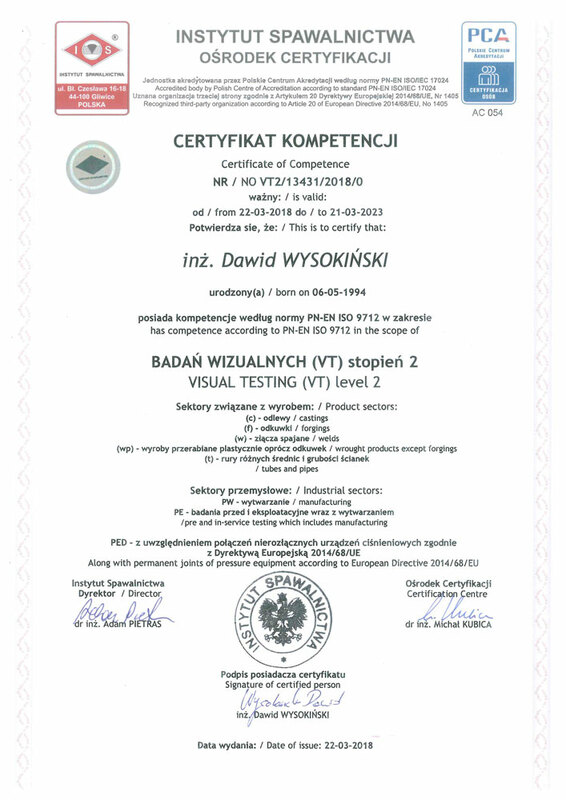 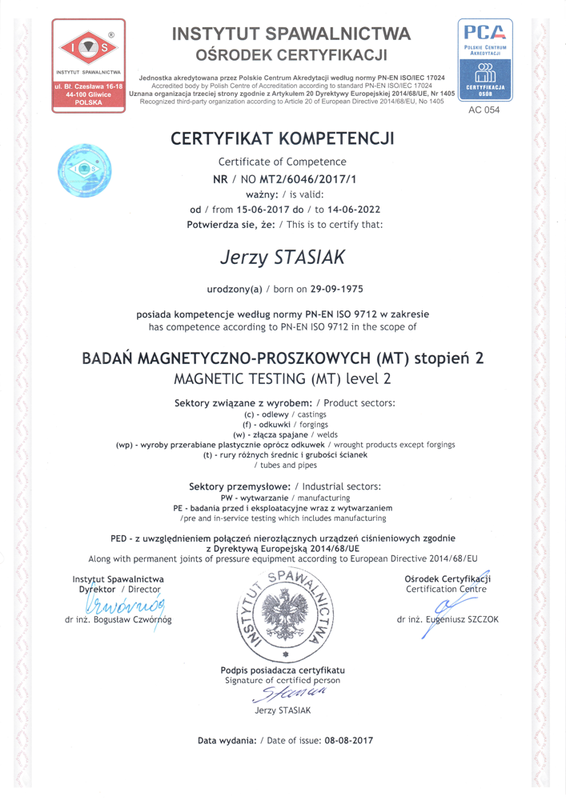 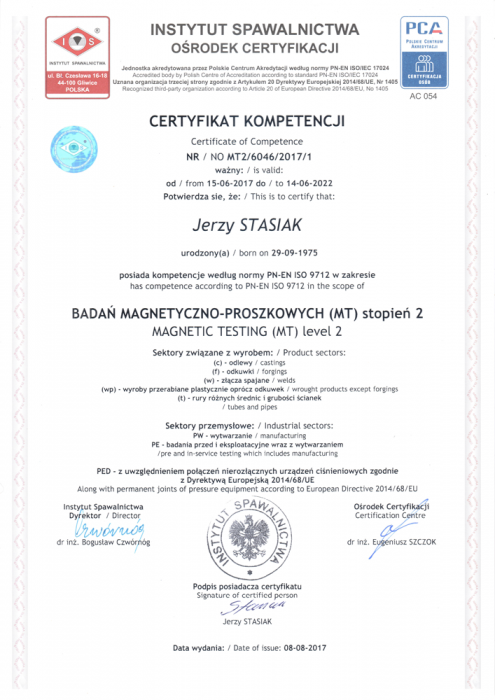 In addition, we have employees certified with VT, PT, UT, MT, IWP (International Welding Practitioner) certificates, IWI (International Welding Inspector), IWT (International Welding Technologist) and IWE (International Welding Engineer).